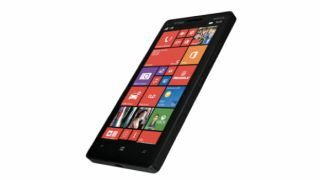 The Nokia Lumia "Icon," what many have known as the Lumia 929, has appeared on its own product page on one American carrier's website. The newest Lumia handset has yet to be officially announced, so needless to say it was a surprise to see it appear on Verizon's official landing page. The listing has since been taken down, but when it was up it featured a product photo of the Lumia Icon, a full specs sheet, and a placeholder price of $777 (about £471, AU$882) on- or off-contract. We expect that price will take a plunge before launch, however. Interestingly, the specs perfectly match the Lumia 929 specs that leaked in November 2013. According to its now-missing product page, the Nokia Lumia Icon will feature a 5-inch full HD display, a 2.2GHz Qualcomm Snapdragon 800 chip, 2GB of memory, 32GB of storage, NFC, and a 20-megapixel PureView camera. That's exactly what the rumors back in November said - although they also mentioned wireless charging and a choice of black or white, the only parts that haven't been confirmed by Verizon's leak. The product page also mentioned that the Lumia Icon is comprised of a metal chassis, a polycarbonate unibody, and Gorilla Glass 3. Though it manifested itself on a US carrier's website, we wouldn't be surprised if the juicy-sounding phone made it in some way, shape or form overseas. Heard of this little thing called the Moto G? Check out our full review!